Twitch’s new system for picking up and muting copyrighted music in recorded video is proving overenthusiastic. 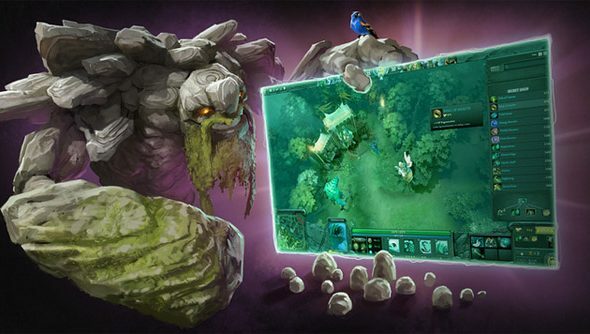 On-demand streams from Valve’s recently finished International finals were briefly hit by the site’s automatic muting tech – apparently for using Dota 2’s in-game audio. The copyright control system developed in partnership with Audible Magic is applied automatically to recorded videos. The site scans audio in 30-minute blocks for recognisable copyrighted music – and if it finds any, mutes the lot. The live streams that form Twitch’s backbone remain unaffected – but some archived videos using in-game music have been left inaudible. Among the muted yesterday were Valve’s official streams for the 2014 Dota 2 International. Twitch have set up a system for copyright owners to challenge instances of muting, and it looks like Valve might have taken advantage of that here. Sound now appears to have returned to their streams. Valve’s legal blurb – not to mention their Source Filmmaker Saxxy Awards – actively encourages users to make videos using footage from their games. “We are fine with publishing these videos to your website or YouTube or similar video sharing services,” write the developers. A copyright claim from them is therefore highly unlikely. For explanation, look to Twitch, who have warned that audio recognition is “not guaranteed” to be unerringly accurate. “It may return false positives or miss content from copyright owners who do not work with Audible Magic,” said the company. Indeed, Twitch’s own weekly video series has reportedly become a victim of the new tech. What do you lot make of all this? YouTube recently bought Twitch for a reported $1 billion.